[miau] Any lover of slots can tell about Black Knight Slot game. Basically, what is involved in this game is search for victory. It is based on the black knight who promises to fight till the last minute when his kingdom gets away with wealth and above all honor for the maiden. This is a legendary game and anyone that has played it before can attest to the fact that it is among the most interesting to play. Well, you may want to know what others know about the Black Knight. This is a perfect opportunity for you. Just read on to learn more. This comes as a unique feature and what makes the game more interesting. 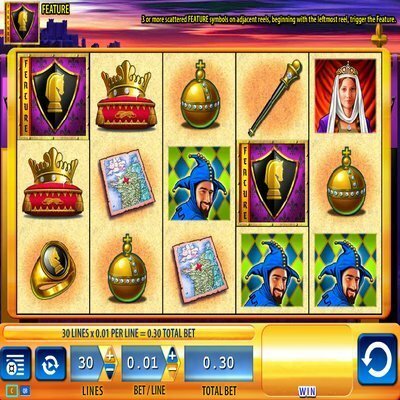 To get free spins, you are required to get not less than three scattered crest symbols on the reels. Upon achieving this, you are awarded with seven free spins. However, these are not the normal spins you may be used to because wild symbols are spread and this lasts till the end of the spins. This wild symbol will show up on the second, third and fourth reels, in short you will only have three wild reels. A big advantage is to get the second and third wild reels early, especially during the first second and third spins; you can manage to win a lot. What basically leads to big wins is expanding the wild reels. Therefore, if you can manage to get the three wild reels with the symbol of the king taking the middle position, on both the first and last reel, you will then get away with 22,000 coins. This is an awesome win for those that have played the game. What’s the disadvantage with Black Knight? Obviously, everyone would like to experience getting more and more spins. However, you may not have this opportunity because you cannot retrigger more spins. Once the first opportunity is done there is nothing you can do to generate more. This is not to mean the game is not enjoyable, if you follow its course well, you may realize how enjoyable it is as you move on. This is yet another awesome feature of Black Knight. The jackpot party bonus can allow you to get hold of one jackpot from the five jackpot party progressive jackpots. This is an awesome feature that motivates you to keep playing if not to yearn for another chance to play the game. One thing you may like about this game is the simplicity involved in the design of its interface. It is made up of well located buttons for various commands. Therefore, you will not have much confusion in the process of playing the game. It is fair to say the game is friendly to people who have not experienced much about slot games. All you need is to get a general overview of what is required and you are good to go from that point. There is no excuse in the fact that Black Knight is a superb slot game. It is friendly to both experts and newbies who may be interested in knowing how to play it. Generally, it can be described as an awesome game.